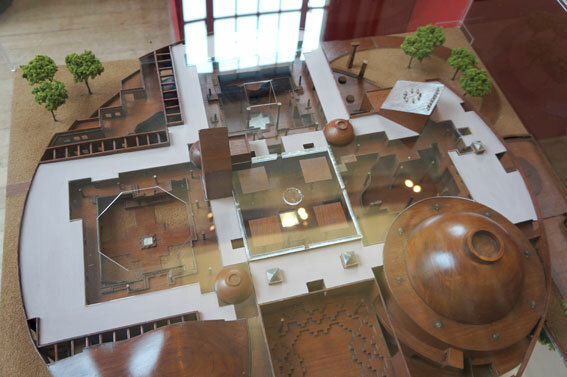 Charles Correa: India’s Greatest Architect exhibition is part of the Out of India season at the RIBA. The exhibition is designed by David Adjaye. The exhibition demonstrates his major role and legacy for the post-independent India. I also attended a panel discussion Great City, Terrible Place? – the Indian Metropolis in the 21st Century. Working with both modernity and tradition Correa’s approach is contemporary, yet very considerate to the history and roots of the place. “Guided by the respect for the given conditions, a desire to effect change without forced interference, and a passion to combine fitness for purpose with beauty and spirituality”. The panel discussing the theme Great City, Terrible Place? was chaired by Sunand Prasad with: Saskia Sassen – Columbia University, New York City, Tony Travers – London School of Economics, Yuresh Sinha – Yuresh Sinha Architects, Dehli and Vivek Nanda – Principal, Strategic Urban Design & Masterplanning AECOM, London. 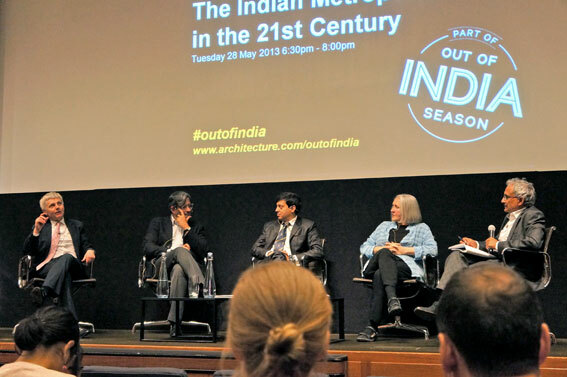 The panel discussed the challenges that India faces in the future caused by population growth and urbanisation. How desirable growth is, when quantity doesn’t equal quality? By 2030 India will have 590 million people which is two times the US population. There will be 38 million supply gap in housing units. The urbanisation rate at the moment is only about 30%. By 2030 70% of the population will be under 25 years of age. According to Yuresh Sinha one of the biggest problems is the growth of the mega cities. They are real magnets to attract people, since all development is based around these cities. He suggest to divert the urban flow to other areas and create tier 2 cities instead. These tier 2 cities should be created to more moderate climate areas making them also more sustainable. Clearly the place making is a huge challenge in India and it requires much more integrated thinking. The ideal goal for the city is to be an enabler for inhabitants. Allowing them to be the best they can be.